This article explains possible causes and solutions for the BACKTRACK problem that prevents users from creating new records. User sees one of several possible error messages preventing the addition of a new record. Related articles show some of the possible error messages. The error can appear from lack of access to the feature or database problems such as duplicate key fields (i.e. duplicate item #s). 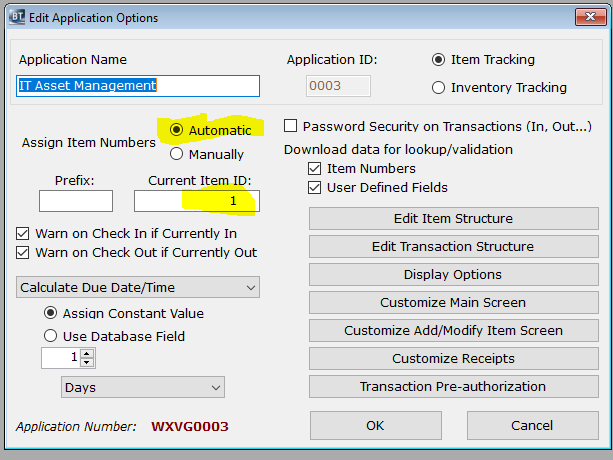 Auto-assigning a non-unique key field to a new record – if BACKTRACK is using the ‘auto-assign’ feature and the next number to assign is not unique, the new record creation will fail (see BACKTRACK error message article “Cannot get new unique key value” – KBA-01148-Q0B6G3). User must be assigned to a user’s group with permissions to add a new record. User lacks permissions – changes user’s group to one that allows them to add records.